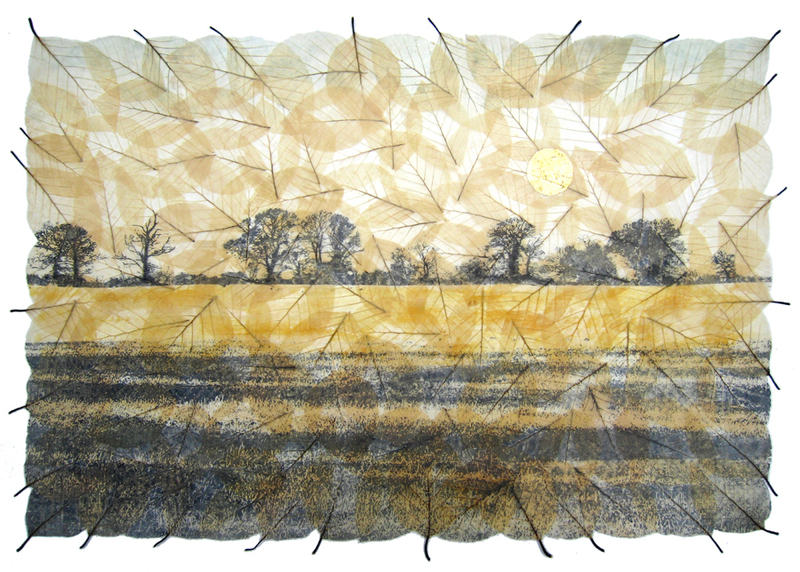 I have recently begun working on a series of field studies focusing on the trees and hedgerows crisscrossing the East Anglian landscape and the fields in between. 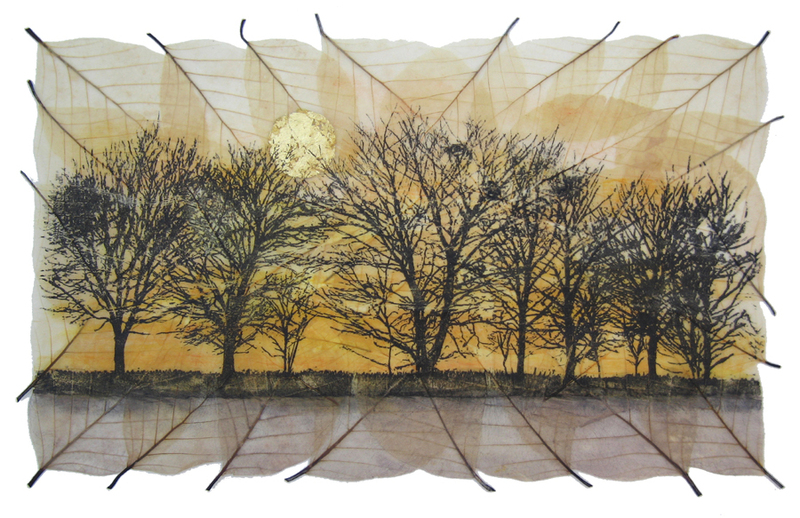 The images are screen printed and hand painted onto paper made from leaves I have gathered from the trees within that landscape. 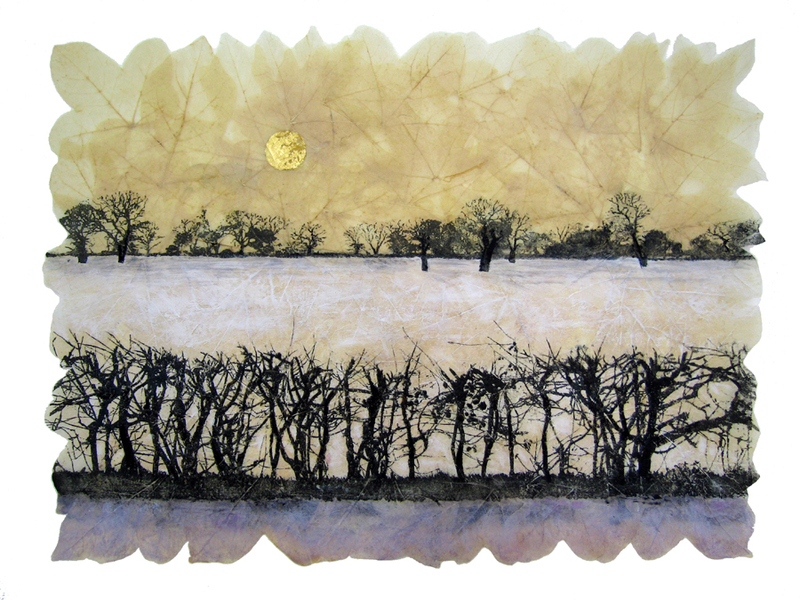 Janet French gained a BA (Hons) Art & Design – Fine Art at Colchester School of Art & Design.